S 1/c Murray M. Simmons, Jr., son of Mr. and Mrs. M. M. Simmons, attended Frederick High School. 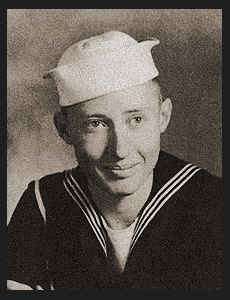 Entered the Navy in Oct., 1944, trained in Farragut, Idaho, Shoemaker, Cal. ; served in the Hawaiians, the Marianas; is now on duty in Guam.